8:10 PM: I think I'm calling an to my readathoning...or lack thereof. I was really looking forward to today, but my body isn't too happy with me. After writing the last post, I passed out on the couch for another 3 hours and only woke up because Matt came home. My joints are aching and I feel like I could sleep for days...so while I will probably read for a few more hours, I don't think I'm going to update anymore. I hope everyone had a very successful readathon! 3:49 PM: Well, I ended up taking a bit of nap, then I read for a little while before taking a shower and taking care of a few chores around the apartment. I'm ready to get settled back into Bitterblue and read until Matt gets home from work in another 3 hours or so. I hope you're also getting a lot of reading done! Random Thoughts: Really just want to dive back into Bitterblue! 10:52 AM: Breakfast had so much potential, but sadly let me down. Please note that you should check to make sure you have everything you need before cooking and eating. I mixed my pancake mix, got them all cooked, then when to grab my syrup, and it was ALL GONE. :( I ate them anyway, but they would have been better with syrup on top. Nevertheless, I will soldier on now that I have food in my tummy. Bitterblue, here I come! # of Beverages: 2 (finish a large bottle of water early this morning, and I am halfway through a bottle of grape enhanced water. YUM). # of Kitten Cuddles:1 (Lily was very affectionate this morning, rubbing on the corner of my book and nudging my hands to be petted). 9:54 AM: I decided to take a little break now, after settling in with Bitterblue for the first hour and a half. I made some great progress, and I am SO GLAD I decided to start with that book! It's amazing! I'm getting pretty hungry, so I suppose I should eat breakfast. And I am definitely thinking of some pancakes...with chocolate chips. Yep, that sounds about right. :) I also need something to drink since I downed my bottle of water already (My Brita refillable water bottles are one of the best purchases I have ever made. Random Thoughts: Really loving Bitterblue so far-wonder when Cashore's next book will be out! 7:46 AM: Hi everyone! I'm excited to be participated in the 24-hour readathon happening today. I wasn't sure if I was going to, but I really need the down time! I've been having a flare-up the last few days, so sitting and reading sounds FABULOUS. I've participated in every readathon since I started blogging, so this has to be my 6th or 7th go! I've learned not to push myself too hard, and to just enjoy spending some time catching up on some great titles. Whenever I push myself too hard, I regret it later. I'm planning on my usual routine today. And to keep you up to speed, I will be updating this post all day so I won't bother you with numerous little tidbits all day! Bitterblue by Kristen Cashore: I have been saving this title to read today, so this is the first book I'll be diving into! Out of the Easy by Ruta Sepetys: I adored Between Shades of Grey, so this one has been on my shelf since it came out. Level 2 by Lenore Appelhans: I love the bright colors and the premise sounds amazing. I might save this one for later tonight when I get tired. Every Day by David Levithan: This will be my second attempt at Levithan's writing, and I am looking forward to it. I've heard great things! I'm sure that I'll end up reading a book not on my little list at some point today-as is the beauty and wonder of the readathon, but we'll have to see. Definitely "Bitterblue." I've been saving it so I could read it in one big sitting, so hopefully it lives up to those expectations. I'm also looking forward to diving deeper in my Cather title. We have a little local diner about 2 minutes from our apartment, and I already know I'm ordering lunch from them. :) They make the BEST salads...and I have students who work there, so they always hook me up. :) I also have some apples in the fridge and peanut butter in the pantry, so I am sure that will be making an appearance. I've been in a bit of a reading slump (after reading something like 7 books over my Spring Break), so I really need this downtime! I've learned how to pace myself. I always start with a fun title I am looking forward to-that way, when I finish it, I'm energized for the day. I've also learned that I can't do the full 24-hours. It leaves me cranky the next day, and since I have a LOT of grading to do, I definitely need to be alert tomorrow! I've also learned to drink lots of water, take breaks to chat on twitter, and to cheer others on! But most of all, READ. Spending too much time online or participating in complicated memes means less reading time! Random Thoughts: I'm ready to get this party started! A Lot of Book Loot. I wasn't game for editing a review for today, so I was looking for something different. Then, my husband obnoxiously said, "Why don't you show them all those new books you've been getting?" He's a smart man. I used to be really good about showing new books, but I haven't done a book loot post or picture in a really long time! I don't even remember what I have/haven't posted about. But, I think I gathered a good chunk of titles to show off, and while they don't include everything I've gotten in the last six months (that would be embarrassing), this includes a LOT of what I have gotten. I do want to note that I purchase almost all of my books. Once in awhile I get a book for review, but considering what I do review, that isn't very often. :) And I am aware that the amount of books I buy makes me seem ridiculous, but I'm perfectly okay with that. I like buying books. And generally speaking, I stick to my monthly book budget (which Matt (the husband) strictly enforces). In any case, here are books that are new to my shelves. (This and the next ____ pictures were taken in our office. The shelves I have in here are YA, Science-Fiction, Fantasy, and History type titles-you'll see some peeking around in some of the pics). I've heard a lot of good things about Kristen Cashore and her books, and I finally picked up Graceling after Christmas with a gift card. It was an AMAZING book, so I ran out and picked up Fire and Bitterblue as soon as I finished. Fire was also pretty good, and Bitterblue has been sitting on my nightstand waiting for me to read it. I read both Graceling and Fire in long sittings, so I am saving Bitterblue for such an occasion. Most likely I will get to it during the readathon on Saturday. Requiem by Lauren Oliver: While I didn't love Delirium or Pandemonium a whole lot, I wanted to see how the series ended. It was a good series, but not my favorite. This one is coming up in a review soon. Sever by Lauren DeStefano: This is the third title in the "The Chemical Garden" series. I own the other two titles as well (Wither and Fever), but I haven't read them yet....Yeah, I know. Half-Brother by Kenneth Oppel: I got this one at our school book fair. I'm not entirely sure why I picked it up (I think a couple of my students were talking about it? ), but it looks interesting enough. Blood Red Road by Moira Young: This is another title I picked up at the book fair. I remember reading really good things about this one, so I figured it was worth a shot! Level 2 by Lenore Appelhans: This one was a no-brainer since Lenore is a book blogger that I really love. I bought this when it debuted, and I've heard that it has a new title now (The 2 in the title confused buyers-thought it was second in a series). I'm looking forward to reading it! Grave Mercy by Robin LaFevers: This was another book fair buy. I really liked the cover, and one of my students purchased it as well. She generally reads things that I've read in the past, so I figured I might as well. Seraphina by Rachel Hartman: I really love dragon fantasy, so when I saw this, I immediately knew I wanted to read it. I didn't know when I bought it that it was in a series, so I might wait till all of them are out before reading (I tend to do that with fantasy series-I like to read them ina row). Wonderstruck by Brian Selznick: I'm not sure why I picked this one up-I think from a blogger recommendation? It looks interesting enough, so perhaps a readathon title. The Berlin Boxing Club by Robert Sharenow: I did a big unit on the Holocaust with my history classes, and I've been gathering titles to use as supplemental material in the future. This was at the book fair and won an award. I'm hoping to read this one, as well as a huge chunk of Holocaust lit, this summer (an event will be happening-look for it if you're interested!). Code Name Verity by Elizabeth Wein: This was another Holocaust lit era title that I was going to save, but then our media specialist convinced me to read it, so I did. My thoughts on it will be going up soon. Every You, Every Me by David Leviathan: I really enjoyed Will Grayson, Will Grayson by Leviathan and Green when I read it last year, so I wanted to pick up something else by Leviathan. This was the first book I picked up and read...and I wasn't a big fan. I found out after the fact that it was a bit of an experimental book, so I'm going to read more by Leviathan soon (see below). Out of the Easy by Ruta Sepetys: I adored Between Shades of Grey and count it as one of my favorite reads of 2012, so it was a no brainer that I would pick up her sophomore title. I still haven't read it (I KNOW), so perhaps another readathon contender? The Statistical Probability of Love at First Sight by Jennifer E. Smith: Yet another title I bought at the book fair. This is one I have definitely seen on a number of blogs. And it looked cute. So I bought it. The Name of the Star by Maureen Johnson: Maureen Johnson is hilarious on twitter, but I didn't own anything by her! I've heard wonderful things about this, so when I saw it at the book fair, I snatched it up (it was the last copy). However, it's part of a series, so it'll probably sit for awhile until the rest are published. Just One Day by Gayle Forman: I really loved Forman's other two books (I read them in the fall), so I bought this on debut day. Again, it has a sequel coming out, so I'll probably wait to read it until that one is out too. Every Day by David Leviathan: This seems to be one of Leviathan's more popular titles, so after not really loving the other title (above) I decided to pick this one up as well. I already know this is going in the readathon pile, so hopefully I get to it soon. Shades of Earth by Beth Revis: I bought and read Across the Universe when it came out and enjoyed it. However, while I own A Million Suns, I haven't read it yet. I will say that I'm disappointed that couldn't wait to change the covers to these more "unisex" versions until they released in paperback (not lying about why they changed covers-boys weren't buying the others). And while I like THIS style of cover better than the cheesy star, couple covers, I'm one of those morons that likes books to match (see my PEL collection as evidence). This is actually the newest title being added to my collection-it arrived on Thursday! This is the new collection of Willa Cather letters (I pre-ordered), and I'm looking forward to reading it for my Willa Cather Project. I will say that this book is a lot bigger than I was expecting! I switched locations, can you tell? The rest of the pictures were taken in our living room, which is where I keep my classics. Above are the two newest additions to my Penguin Clothbounds and Puffin Hardcovers. The Count of Monte Cristo by Alexandre Dumas is the newest clothbound (although, I just found out Vanity Fair has been released, so I will definitely be buying it soon). This is one of my favorite books of all time, so I'm excited to have it in such a lovely edition. I also found Matilda by Roald Dahl at Pottery Barn Kids when I went shopping with my mom and niece. My mom was semi-embarassed by my squealing when I saw it. I don't know if Puffin has released any others to go with their set, but I will continue to add on as they release (let me know if you've heard anything!). (To my knowledge, I think I own all of the Penguin Clothbounds and Puffin Hardcovers with the exception of Vanity Fair and the 2 titles that only had one printing and were only available in the UK-Madame Bovary and Crime and Punishment). I'm not going to give titles, because I am pretty sure I have bought more than what these three pictures will show you. I know that I finished collecting the Dickens titles (all 16 of his major works), as well as the Hardy titles and Trollope series (The Chronicles of Barsetshire). My shelves are filling up with these lovelies, and I think I only have about 28 to go? Not bad considering I started collecting about a year ago and there are 100 titles (or that could be considered sad...or pathetic...or obsessive-you pick). I really like the difference in the covers for the Dickens titles (the 5 on the right). That's one thing I love about the series as a whole-each book has a very distinct cover. Another of my favorites is the title for Robinson Crusoe-the gorgeous green with the leaves near the left. I find it funny that some titles are really hard to find. I struggled to get a copy of Howard's End by Forster (the white title with the umbrellas). It was "sold out" on The Book Depository for a long time, so I finally went searching on Amazon and found a copy. The same recently happened for another of Forster's titles. Odd, right? And I want to point out that I love that Hardy cover on the far right-Under the Greenwood Tree. It's beautiful in person. And a few more-including some by Henry James, Trollope, and Irving. The white one on the far right is Ethan Frome by Wharton. This is my third copy of the book (I KNOW), but I can't help it. The other two editions I own are the old Dover Thrift version that I was given from my 12th grade English teacher (we all got a copy to keep when we read it together) as well as another Penguin edition. Wharton is a favorite of mine, so I don't feel bad hoarding her books. And, from a couple weeks ago, Sparty on my bookshelf with all the PELS as a background. Anyway, there you have it-a whole lot of books I've purchased in recent months. And, if you're looking for them, I've bought all of my PELS (with the exception of Howard's End and a couple others) through The Book Depository. I haven't found any of them in a physical bookstore around here, so I just order them in batches and have them sent. My only complaints are that it takes a bit of time to get them, and they always come packaged individually, even when I order a number of them together. I find that annoying and a waste of packing supplies! They're also pretty affordable-obviously the thicker titles cost most, but they cost the same as any other edition. The covers are beautiful (some more so than others), and they're well made. Hope you enjoyed seeing some new books! Let me know what you've purchased recently! Weekly Wrap-up for April 21, 2013: Drained. I've also had a lot going on at school, so perhaps that is adding to my feelings of being drained. While my kids have been working pretty independently on their research projects, I haven't gotten nearly as much done as I planned. I've been trying to concentrate on prepping the remainder of my history lessons for the rest of the year, but now I'm behind on grading...it's a never ending cycle of paperwork! I have managed to create the notes sheets for my history class through almost the last chapter-only 3 sections to go (I use column notes-first column has questions, the second is for students to fill in as they read the sections on their own, the third column is for them to add additional information when I lecture or when we have class discussions. They work really well and the kids like them). That's a big relief, but now I need to finish my lecture powerpoints and find some creative things for them to do! I'm also digging around to find some new stories and material for my American lit units through the end of the year: Post-Modernism, Science Fiction, and contemporary lit. If you have any ideas, please share! It is also looking more and more like I won't be working a traditional job this summer. I had originally planned on going back to the park part-time, but I don't think my health is going to let me. I think I might be working for our Summer Music Theater through the end of June and the first week of July, so that will be enough to get me through the summer. :) I'm really just looking forward to some time off. I have a writing project knocking around in my head that I would like to finish by the time school restarts in September, and of course, lots and lots of books. Anyway, I need to edit some posts for this week, and then I have piles of grading and planning to do. Have a lovely week! One of the things I love most about the subjects I teach is how broad they are. In teaching literature, writing, and history, I have the opportunity to teach my kids things that they otherwise wouldn't be exposed to. We can explore new topics, have debates, and learn together to appreciate and represent the world around us in a way that is positive and uplifting. I think it is also safe to say that literature and history classes help children learn how to think. I try to challenge that as much as possible by exposing my classes to everything I can. When we began our year, my history classes did an exploration of the Pocahontas story and determined, based on evidence (primary documents and historical adaptations), whether she actually "saved" John Smith. Since then, I have tried to teach them to form their own opinions, find their own evidence and form an opinion based on that evidence. In my literature classes, I try to get my kids to explain meaning and theme, rather than saying, "when the author uses this color, he means ______." I want them to find depth and heart in their reading, rather than having them listen to my own ideas and meaning. I really just want them to think. But with events like the last week, it is hard for anyone to seek out the pure truth and form an opinion for their own. Instead, the media has hyper-focused on the events in Boston. Social media sites have exploded with anger and hate. Mouths spew forth intolerance and injustice. It leaves my heart feeling very hollow. It makes me sad, to see people I love, respect, and admire saying things without truth, without evidence. Rather than sitting back and just taking it in, I see many jumping to conclusions and assuming the worst. And what has happened is that those judgments and anger have formed into widespread hate-misdirected at those who had nothing to do with what's going on in our world. I will never be able to understand the jump from blaming an individual, who made personal and hard decisions to act in such a way, to blaming a group because they share some trait with those who are being accused. It happened with 9/11, it happened with Columbine and Sandy Hook, and I see the same anger coming from the events that have happened in Boston. I have to wonder, as I watch people say things with such anger and hate in their words, if they were ever taught to think. Did they have someone who tried to tell them to think before speaking? I wonder if my own students will forget what I have tried to teach them and will utter words without thinking. I'm not sure what my purpose was in writing this. I suppose I can see this as therapeutic-a way for me to get out my own uneasiness about the things I have seen and heard this week. Just know that my heart is sad. Everytime I see misplaced blame and anger, my heart breaks a little more. For now, my thoughts and prayers are with the families of the victims in Boston (and Texas-they are also suffering). I hope, that for everyone's peace, we get the answers we need. On Teaching The Great Gatsby by F. Scott Fitzgerald. 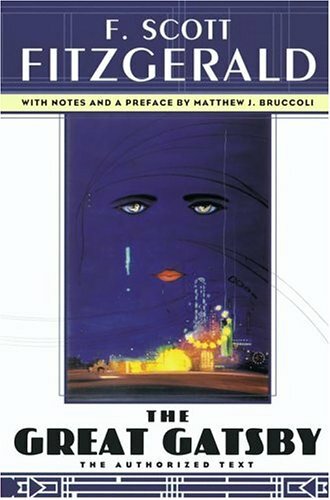 I know that a large number of people are reading and rereading Gatsby in anticipation of the new movie coming out in May. 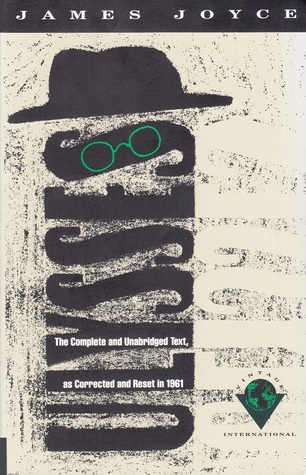 I actually reread the novel twice back in late January/early February as a prepped for and began teaching a unit on the novel to my sophomore English classes. 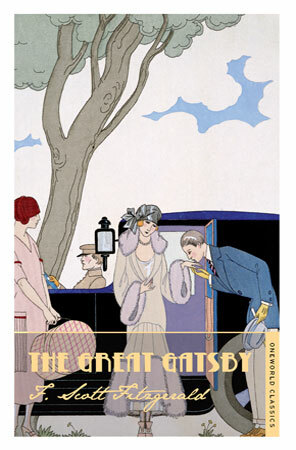 I'm going to be honest and say that teaching The Great Gatsby was one of the highlights of teaching this year. I loved this novel before, but each time I reread it, I find more and more to love. I feel like I can pull more depth from it with each reading, and I see more and more to love in the language. And being able to teach it? To talk about all of the lush descriptions and the characters and the symbolism? I was in heaven. I loved every minute of it, and I loved seeing my kids grasp the deeper themes. However, one of our biggest conversations (at least in one of my classes) surrounded Daisy and the fact that you aren't supposed to like her. She is spoiled, selfish, and uncaring to those around her. she lives in the moment and grasps what seems easier. My students were very vocal about her and their distaste for her throughout the whole novel. And then we talked about the fact that she feels trapped in her life...what would it be like to be trapped in a life you didn't want? Their answers were so deep. I loved it. I love this new cover by Alma Books. We also talked about the very end as I read them the last chapter out loud-how sad it is that so many would use Gatsby for his wealth and parties, but when he passed, no one could take the time to pay their respects at his funeral. I posed to them this; how would Gatsby have felt seeing the turnout at his funeral? Again, their answers were deep and meaningful. Some of them expressed that Gatsby's funeral is proof of how popularity isn't always positive, that just because you have lots of "friends" doesn't mean that those people love you or honor you. We ended our unit with a formal essay, but I also assigned a short writing assignment immediately after we finished the novel. We watched the two videos from John Green's Crash Course on Youtube (first video and second video) and I had the students answer the question Green poses, "Was Gatsby truly great?" Even now, I'm not sure of my own answer, but I do know that the novel is great, and that I love it. And if you haven't read it, you need to. 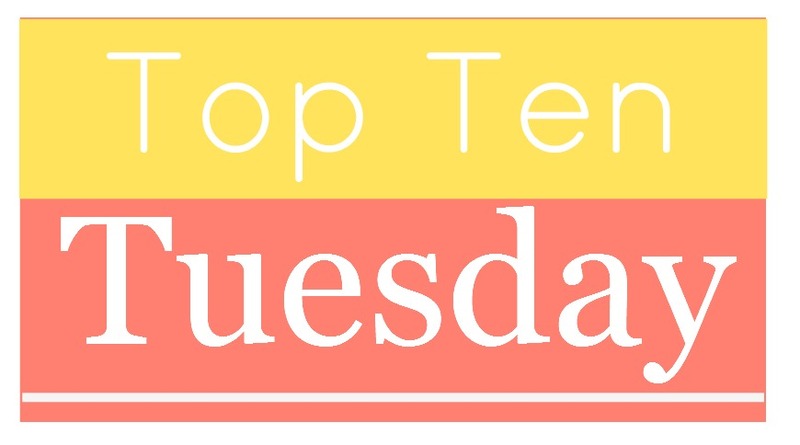 Top Ten Tuesday: Rewind (Books at the Top of my TBR). 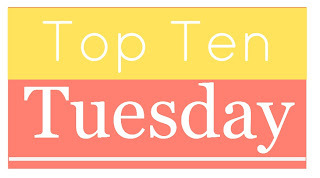 It's Top Ten Tuesday! Today's topic was to do a "rewind" of a past topic, and I'm very excited about that. Just a couple of weeks ago, the folks at The Broke and the Bookish had a topic for books on our Spring TBR. This was in the midst of my absence, and I was bummed I missed it. To be honest, the TBR posts are my favorites to read and write! Let me know what books you're planning to read! Anna Karenina by Leo Tolstoy: I started this WAY back in January. I've picked it up here and there, but I'm still only 200 or so pages into it (I know I finished the first and second part). I really like it, but I have a hard time diving into it. This is definitely one I want to finish! 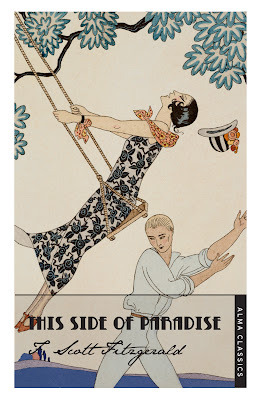 This Side of Paradise by F. Scott Fitzgerald: Another one I have started and need to finish. This is a good one (very different from Gatsby, which I LOVE). The Song of the Lark by Willa Cather: This will be the 6th book for my Willa Cather Project! I read the first few pages a month ago, but I set it aside and haven't touched it. I really want to finish my Cather exploration by the end of the year, so I need to kick it up a notch. Going After Cacciato by Tim O'Brien: We're approaching the Vietnam unit in my history classes, so I think this would be the perfect fit for me as I teach that unit. I loved The Things They Carried, so I have high hopes. This will also count for my TBR Pile Challenge! Ivanhoe by Sir Walter Scott: I just got a pretty new Penguin English Library (PEL) edition of this last week and boy, the pretty cover makes me want to dive in! It seems like such a fun story, so perhaps I'll grab this one soon! And again, another title for my TBR Challenge! Uncle Tom's Cabin by Harriet Beecher Stowe: I put this one on my nightstand in February, but its been lingering there ever since. I think it's one I need to read sooner rather than later, so hopefully I get to this one soon. 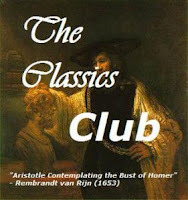 This will count towards my Back to the Classics Challenge! Return of the Native by Thomas Hardy: I adore Hardy, and since I know this one is a favorite of many, I keep meaning to read it. I just got this in the PEL edition, so the pretty cover is sucking me in, just like Ivanhoe. This is another for the Back to the Classics Challenge! Bitterblue by Kristen Cashore: I flew through Graceling and Fire, so I know I'll feel the same way about this one. Cashore is talented and can write an EPIC fantasy. But this is one I need to sink into in one long sitting (perhaps for the readathon coming up?). On the Road by Jack Kerouac: This is another one that I can't believe I haven't read yet. I had Kerouac as an extra credit MVP for my history classes a week ago, and since then, I've been eying this on my bookshelf. :) Yet another for my TBR Challenge! This Side of Paradise Winner! Congrats to Lori of The Coffee Girl! I will be e-mailing you shortly to get your mailing information. Weekly Wrap-up for April 14, 2013: Musings and Chores. This weekend was filled with a lot of chores, so I'm just sitting down to get a few things set for the week. I spent yesterday relaxing and taking care of a few things around the apartment (my knees/hips/ankles have been killing me this week, so minimal walking) until Matt got home. We went out to dinner and decided to go see Jurassic Park in 3D at the theater. :) It was a lot of fun. I'm still a bit amazed at how good the special effects are 20 years later. I jumped in a few parts-dinosaurs in 3D are a bit frightening! Today we slept in, went to get brunch, then I went grocery shopping. I hate grocery shopping on Sundays, but we had nothing in the fridge and I'm sick of quick meals. I stocked up on pantry staples and came home to a scrubbed out fridge (thanks Matt!) and a clean apartment. I've been cooking and prepping things for the week since then, including doing a few more loads of laundry. Chili is bubbling in the crockpot and I have chicken marinating in the fridge (with plans to grill it up tonight for salads throughout the week). All in all, it has been a very relaxing weekend after a stressful week. I am looking forward to this week, especially since I will have a bit more time IN school to grade and prep. With my English kids researching throughout the week, I have some time to grade their projects! Alright, time to change the load of laundry, stir the chili, and get that chicken cooked. Hope you all have a great week! The Classics Club April Meme. In any case, I've loved the last few questions, so I'm making it a point to participate. I immediately thought of 3 names-1 hero and 2 heroines. The hero that jumped into my mind is actually one of the characters that inspired my blog. Dear old Odysseus from Homer's The Odyssey is a phenomenal hero. He went off to war to support his countrymen and left his family behind. Then, he struggled home and battled monsters, men, and creatures. And, once home, he had to battle the leeching men who had moved into his home and abused his wife's kindness. But what I most love about Odysseus is his imperfections. He is not a perfect hero-he is an adulterer, he is quick to violence, and sometimes he just makes the gods angry. But he fought and survived to find a place at home. He never gave up and continued to battle each challenge that came his way. I can admire that and attempt to emulate it. In terms of heroines, there are two women that immediately jumped to mind, and since both are similar in nature, I can talk about them at once. I'm thinking of Lily Bart from Edith Wharton's The House of Mirth and Isabel Archer from Henry James' The Portrait of a Lady. Both women are victims of their circumstances. Both have been abused by society and have to suffer under society's expectations, but both women maintain a strength and a dignity that I would love to have. They survive through their intelligence and challenge where it is necessary. And the ends of both of their stories leave my heart aching a bit. The fact that I hold them so close to my heart shows how much I love, respect, and honor the power of their stories. So there you have it, my idea for the best literary hero/heroines. Please let me know who you would pick! Alexander's Bridge by Willa Cather (The Willa Cather Project). 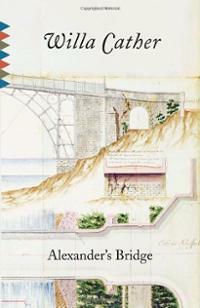 Alexander's Bridge was Cather's first published novel, debuting in 1912, one year before O Pioneers! I knew that this one wasn't part of the "pioneer" series, so I was curious what early Cather would look like. The novel is about Bartley Alexander, a world renowned bridge builder and his wife. The Alexanders live a wonderful life in America, supported by the success of Bartley and his constructions. And while Bartley has been successful and his wife supportive, he still finds the need to engage in an affair with Hilda, his old flame who lives in London. As he continues to live his life, its obvious that Bartley has struggled to keep tabs on exactly who he is and what he wants from life. In conversations with his wife, it becomes apparent that Bartley has become a man of inaction. That seems surprising. I'm sure that anyone who is successful at their craft will vouch for the fact that they had to take action and make decisions to get to that level of success. Bartley, at the point in which the reader meets him, doesn't take action. He goes with the flow-he allows his wife to dictate their home life, he agrees to poor materials being used for his new construction. He doesn't make an effort. This is where Cather's whole metaphor comes into play and the title of the novella. Hilda and Bartley's affair in London is his bridge to the past and his decisions to take action. To make something of himself and change his fortune. His relationship with his wife is the bridge to the man he has become. A man of inaction and poor decision. Then, of course, there is the bridge itself. The bridge is a product of who Bartley has become-a man of weak constitution, a man impacted by the elements around him, and a man who is ready to crumble at any moment. So of course there is the ultimate climax where Bartley is tested as a man and the results of these bridges and their connections to Bartley come to a head. And while I loved the concept of this, I didn't love the end result. I actually found the book to be too short and too obvious. It was clear after only the first 20 pages what the end result would be, and what kind of a man Bartley would turn out to be. But, I also found that Bartley wasn't developed enough. I didn't care enough about him to worry about his decisions, or to wonder why he changed to being a man of inaction and poor decision making. And the bridge metaphor? It was just...obvious. After reading some other reviews online and insights from the Willa Cather archives, it's clear that this novel was more plot driven than character driven. From my own experiences with two of Cather's other novels (My Antonia and O Pioneers! ), Cather eventually shifts more attention to her characters, and personally, I find that to be more successful. And, generally speaking, I love character driven novels more than plot driven anyway. In all, I enjoyed the novella and the concept behind it. I just found Cather's inexperience as a novelist to be a bit too apparent. I know her next novel was O Pioneers! so I am looking forward to seeing that transition in action. This Side of Paradise Giveaway! 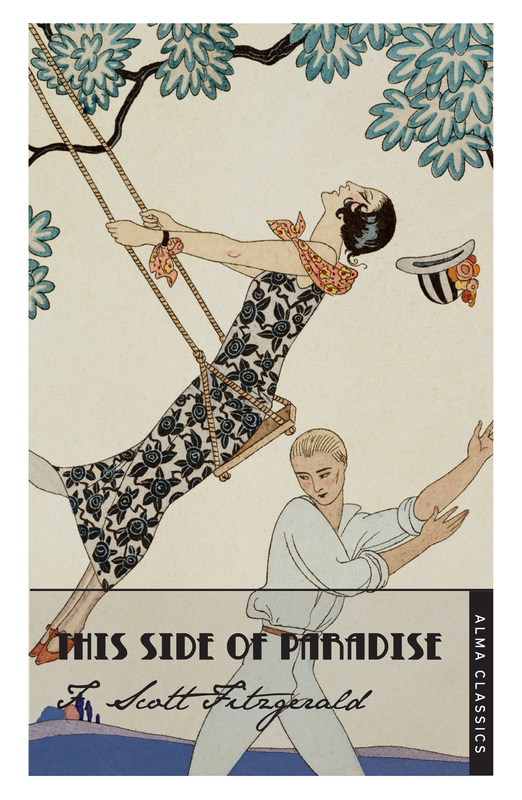 I'm really excited to show you this beautiful edition of F. Scott Fitzgerald's This Side of Paradise. I received a copy for review a couple of months ago, and while I am still reading it, I cannot rave enough about the gorgeous edition. And, luckily for you, the publisher has another copy waiting for a lucky U.S. reader. Alma Books is responsible for this pretty edition (the covers for the other Fitzgeralds are equally amazing) and its being distributed by Trafalgar Square Publishing and iPg. If you are interested in learning more about the edition, feel free to visit the book's webpage. The giveaway is open to U.S. residents only. You need to be 13 years of age or older. To enter, leave a comment here stating such by Friday, April 12 at 11:59 PM EST with your e-mail address. I will pull a winner, contact you for your mailing information, then send that on so your lovely book will be sent your way. Sound good? I hope so! Weekly Wrap-Up for April 7, 2013: End of Break. Every time we have a long weekend or an extended break, I make huge plans to get a lot of school stuff done. I have a rolling cart that I fill up with "stuff" and make grand plans in my head to get a ton of prep work done. It shouldn't surprise you that it never happens. I get so used to relaxing and doing nothing that diving into my cart makes me want to cry. I finally broke into the cart on Thursday to pull out some things to be graded, and I may have whimpered a bit. While I didn't have a lot of grading left, it was enough to make me yell at myself, "Why do I always wait?" I only got a minimal amount done on Thursday, and Friday I was in Detroit all day for the opening day Tigers Game. So, that left yesterday (and today) to get some things done. I spent 12 hours yesterday prepping and planning for the beginning of the new quarter. I'm aware that 12 hours is ridiculous. I was busy making lectures, powerpoints, reference sheets, notes handouts for my history classes, and a bunch of random things. But at least I woke up this morning knowing that I am prepped for the first week back (and then some). My history classes are learning about JFK and LBJ this week, and my sophomore English classes are diving into their American author research project. At least with my English classes working in the library, I'll have more time in class to get some grading done (as a general rule, I don't really grade during the school day that often. I'm too busy helping students or running around to concentrate on grading-I usually just bring assignments home or stay after for an hour or 2 to catch up-I don't have a planning period during the day, so that's what works for me). My niece, Zoey. We went shopping this week! In reading and blogging news, I've spent some time this week getting some posts prepped and ready to post. You'll see a few pop up! I'm trying to catch up a little on the backlog, and it may take me through the end of the month to be caught up (assuming I don't read anything else in the meantime). I'm hoping I can dedicate myself to getting back in the swing of things without feeling too overwhelmed. I also want to finish up some books that have been lingering, so I am going to focus on finding that balance. In any case, there is a giveaway going up tomorrow! It was supposed to go up during "A Modern March," but that just didn't happen. Make sure to look for it. I hope your week went well and that you have warmer weather than Michigan (seriously, a week into April and we're still hovering around freezing? That's crazy, even by Michigan standards). The Troll Garden by Willa Cather (The Willa Cather Project). 1. "Flavia and Her Artists"
3. "A Death in the Desert"
5. "The Marriage of Phaedra"
Four of these stories were later revised and republished in 1920 in Youth and the Bright Medusa (I will be reading these at some point, so I will make note of any differences). I was really looking forward to reading some of Cather's short stories, especially since the only story I had read prior to this project was "Paul's Case" (I actually use the story with my sophomores and their American Author research project. I was also looking forward to seeing the difference between her poetry, novels, and these condensed stories. I was very excited going into the stories, and while there were some hits and misses, I really loved the collection as whole. The first story, "Flavia and Her Artists" was a bit odd. The first few pages seemed a bit off-putting and I wasn't sure what point Cather was trying to make. The story takes place at Flavia's home, where she offers refuge to artists so they may explore their crafts. There is a bit of a mix-up when one of the writers attempts to hide an article written about Flavia. By the end of the story, I understood Cather's point, but I was not that excited by the story as a whole. "The Sculptor's Funeral" is a story I really loved. The body of a famed sculptor returns to his small town accompanied by a friend. As the body returns to the town, the friend is forced to listen to the ridicule the town has towards the famed man. Eventually it reaches a climax and the friend goes off. :) It was an interesting read-especially in the context of life and death and what you can really mean to the people you leave behind. Definitely one of my favorites in the collection. "A Death in the Desert" is about a young man who is often mistaken for his famous composer brother. On a trip, he meets with an ailing woman who once worked with his brother. The slowly get to know each other and discuss the old times with his brother pre-fame. Again, it was a pretty good story, but I wasn't as devoted emotionally as I hoped I would have been. In "The Garden Lodge," a woman contemplates tearing down and destroying the Garden Lodge where she used to spend time with a composer friend. I think Cather's goal was to show the struggle between reality and dreams-and the choice that some make to go with reality-but I think it failed to come across strongly. I wasn't that big of a fan. "The Marriage of Phaedra" is about a biographer of a famous painter, who is trying to find more information about the painter's unfinished work. Again, I think there was supposed to be a big moral lesson to this, but I really failed to pull it from the story. In my opinion, I think this was the weakest story of the collection. "A Wagner Matinee" is one of the best of the collection. A young man is hosting his aunt in the city and decides to take her to a concert. He is worried that she won't be interested, but as the music starts, he watches her become more and more enthralled in the music. I loved this one. As a musician, I really loved the musical connections and the emotion Cather invoked just by discussing the effect of music on a person. The last story in the collection, "Paul's Case," is the stand out story. It is, by far, the best story in the collection and with good reason. Paul seems to meet circumstance after circumstance that break his spirit...and I can't say more without giving anything away. In one word: beautiful. You need to read this story. 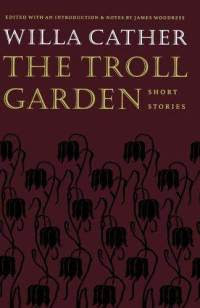 In all, this was a great collection of short stories. I'm looking forward to seeing Cather's later short stories, as well as the revisions made to some of these. I am in the midst of a big blog post writing marathon. I'll admit that I am a bit overwhelmed by the fact that I have let the blog go...in so many ways. When I first began blogging, I was very on top of my posts. I made sure things were published shortly after writing them, and the posts going up were about books I was still reading or had just finished. And that has slowly gone away over the course of the last year. Of course there are a million reasons why that is, but I'm not going to rehash them. However, I will say that the feeling of guilt that these lack of posts brings is one of the main reasons I have let the blog go and have a hard time returning to it as faithfully as I did in the first couple of years. I also know that the blogging climate has changed. A couple of my favorite bloggers have disappeared, others have become incredibly focused on other things, and my own life has picked up in terms of excitement (hello, full-time employment). I miss the community and feeling like I'm a part of something wonderful. So, with that in mind, I'm going to make my come back. :) I miss writing about my reading, and I miss reading what you're reading. I'm going to remedy all that by becoming a better blogger. Sounds like fun, right? Obviously teaching requires a lot of my mental energy and sometimes when I get home, I don't want to read. But, I realized that was making me cranky-my life became teaching at a few points over the last couple of months. I need breaks from that kind of mental strain! So, I turned back to reading, and sadly, while I did read some good books, I have thrown my lists and classics out the window. My focus has been on YA and fluff, and while I like that, I need a better book diet. :) To put it in perspective, this year I have read 11 books that I would qualify as classics...and 12 YA/fluffy stuff titles. Egads. That is way out of balance! Anna Karenina by Leo Tolstoy: I started this in January. And for reasons unknown, I have utterly abandoned it. It is currently sitting under a pile of crap (okay, other books and randomness) on my desk. I don't know why I abandoned it-I really like it! This Side of Paradise by F. Scott Fitzgerald: I started this one for my failed "A Modern March" event (and I say failed referring to my own participation....or lack thereof). Again, this is a good book that I just need to finish. The Song of the Lark by Willa Cather: The next title in my Cather project...again, started it and abandoned it. This one has a home on my nightstand...under a pile of books. I Know Why the Caged Bird Sings by Maya Angelou: This was my Classics Spin book. I took it off the shelf. It's sitting on our coffee table. Haven't even started it. Bitterblue by Kristin Cashore: Okay, granted this isn't a classic, but I'm still going to read it this month anyway. I flew through Graceling and Fire in one sitting each, and ADORED them (seriously, Graceling is an amazing piece of fantasy. READ IT), so I want to finish out Cashore's work. All perfectly doable. I also have some lingering plans to bust through my Willa Cather project by the end of the summer, so we'll see how I do with that. Blog more. Be active. Read blogs and comment.